Whilst I’d never consider myself an expert graphic designer, working as a VA often means you have to develop a host of skills you never needed as a PA, basic graphic design being one of them! PowerPoint 2013 provides an excellent method to remove the background from pictures without needing a Photoshop degree! The Background Removal option in PowerPoint 2013 is a handy tool to know how to use, and will help in many situation to make your Office documents look slicker and more professional. 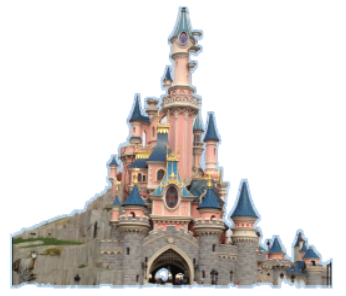 The Background Removal tool works by determining the parts of an image that are in the background and removes them automatically. Removing backgrounds is beneficial if you want to use the picture with another background image or overlay some text – it’s easy to do an there’s no expert graphic design skills needed! Using the remove background feature in Powerpoint 2013 saves time, effort and hassle of doing everything using an advanced photo editing program. Powerpoint 2013 is an efficient tool that helps you in editing images on the go in your presentations. 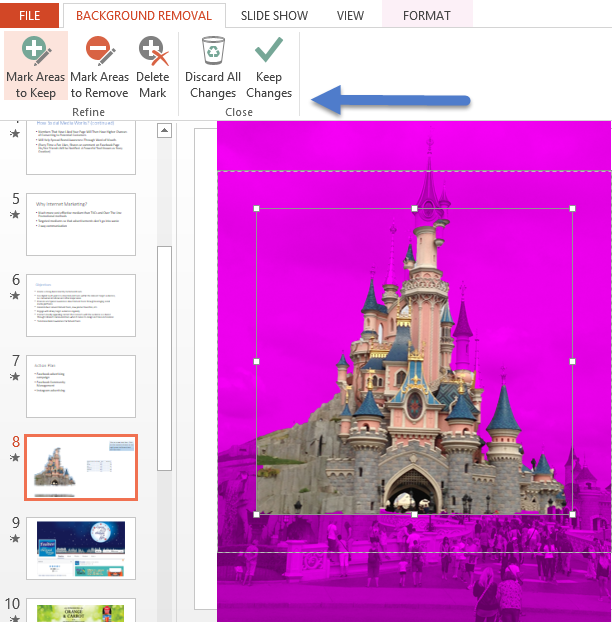 Powerpoint 2013 will then assess the parts that need to be removed with a magenta fill alongside a selection around the picture areas. What you see below in magenta is the zoomed part of that picture. Only the areas that are not covered with magenta and still show the true colors would remain intact. Use the selection handle to adjust the selection. Click the Mark Areas to Keep command if you want to keep the marked area intact. On the other hand, if you think that the background is complex, you may click Mark Areas to Remove command and select which areas you want to remove as a background from the picture. Mark Areas to Remove command works best when the picture is complex and you need to manually draw lines around the border of the image to remove the background. When you are done, click Keep changes to remove the selected areas. As you can see from the image below, only the true-colored image will be cropped and the magenta-filled area would be deleted, leaving you with a nice foreground image and a transparent background. Note: This option may not work with all Clipart images.